Inspired Pairing for California Broccoli Crowns adds an iced farm fresh choice for serving with hand-cut USDA Choice Beef Rib Roast. Come now, would you have thought of it? 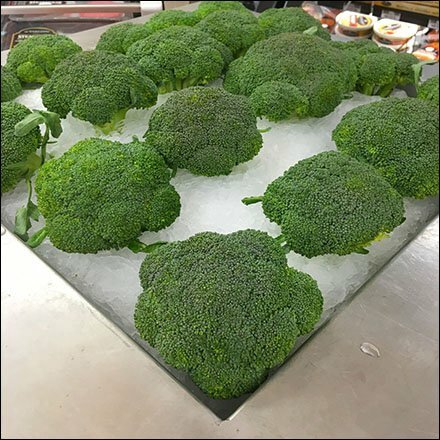 And upon seeing the Broccoli Crows green and iced, could you resist the selection? Consider the presentation of this Inspired Pairing for California Broccoli Crowns produce offering in meats via the gallery of photos.